That being said, while it seems like all apps are morphing into one, the copycat-culture we see across our favourite apps is nothing but healthy competition.Today, we bring you news of Facebook bringing out a new feature to the platform. 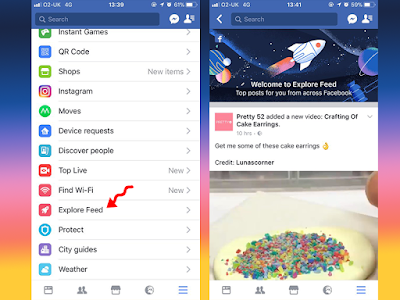 If you're an eagle-eyed Facebook-fanatic, you'll know that the Facebook Explore Feed has been available on mobile for a while now (pictured below), but earlier this week, Twitter user Matt Navarra spotted the feature on desktop. It's comparable to Twitter and Instagram's options; namely Moments and Popular Articles on Twitter and Instagram's Explore tab. 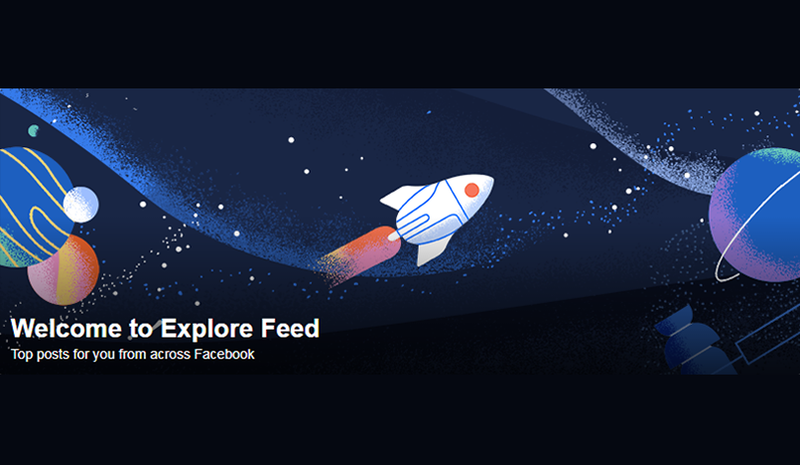 Facebook's Explore Feed is tailored to you, recommending you content from a range of sources that isn't on your News Feed. Facebook put together your Explore Feed based on what you've already liked, shared and commented on, resulting in similar posts of things which will interest you. To access your Explore Feed, you'll find it under 'Explore' (makes sense), on the left hand navigation menu, where you'll also find Events, On this Day, Pages, Pokes (do people still Poke on Facebook?) etc. When I went to view my Explore Feed on desktop, the first things I saw was a Great British Bake Off news article and a selection of animal-memes; so far, I'm impressed, it seems jam-packed with top-quality content if you ask me. Before now, the Explore Feed was just a test, but due to its success and it now being available on desktop, it's officially being rolled out. As the new News Feed-alternative gets used, Facebook hope that the time users spend on the platform increases, meaning enhanced user experience and more space for advertising, monetisation and growth.